Once you have decided to use a property management Bonita Springs company to rent out your rental property and care for it, you will need to make a critical choice for which company to use. As with any investment, you will need to be cautious about who you entrust with your property, so that you don’t end up with an unscrupulous person managing your property, or with bad tenants. A Bonita Springs property owner’s worst nightmare is to lose money or suffer property damage because they entrusted their personal investment to the wrong person or company. Too many property owners end up with bad companies that do nothing more than cause a steady loss of income and chronic headaches. The headaches is typically the reason most landlords seek the services from a property management Bonita Springs company in the first place. They are tired of 2 a.m. phone calls about a broken pipe, or frustrated from always having to chase down the rent from a tenant that never seems to pay on time. When you start your search for a Bonita Springs, FL company to use for your property management, you need to make sure that they meet certain qualifications so that you don’t wind up with the same old situation. They must be reputable and local to the Bonita Springs, FL community. Of course, you want to verify that they are trustworthy, and lastly, they need to be highly experienced in the property management of Bonita Springs real estate. You certainly don’t want to make a mistake with someone that is not going to be serious about your investment or is very new to the industry, where a mistake can be extremely costly in both time and money. Here at Cape Shore Property Management Inc., your investment is much more than just a number. We take great pride in the honest, safe, and secure practices that we use for our property management services. There is nothing easy about trusting someone when it comes to your assets, investment, and financial future, which is why we make it our priority to treat your property with the same care and respect as we do with our own investments. Our high rate of success and satisfaction in the Bonita Springs community is why we are highly regarded as one of the most reputable property management companies in Bonita Springs. Cape Shore Property Management Inc. stays on top of the latest news and developments in the Bonita Springs real estate market, community, and laws so that you have the utmost confidence that your Bonita Springs rental property is making its maximum revenue potential and is being taken care of well and according to all laws. It does not matter if your property is a second home you purchased, simply an investment, or a valuable asset you want to hold onto for future plans, it is important to us because it is important to you. Our many years of expertise enables us to know exactly what to look for in tenants and the extensive checks that must be done to verify they are reliable, dependable, responsible, and trustworthy citizens of the community. Cape Shore Property Management Inc. is a reputable, trustworthy, experienced, and local property management Bonita Springs Company, and we have professionals available to discuss your needs. Dial 239-549-6611 to speak with our friendly staff today, or come visit us in our office. We would love to learn how we can help you with your rental property, so that you can get back to doing what you love most; living your life. First of all, we know how to find the best tenants for your property; the kind of people that pay their rent on time and care for the home they are residing in, so that you don’t have to spend hours and hours searching and looking for the right tenant to trust with your investment. As for maintenance, repairs, inspections, and coordinating vendor appointments, you can count on Cape Shore Property Management Inc. professional services to handle it all, so that you can get on with living your life, without the hassles. All vendors and businesses we work with are licensed, insured, and trusted. In the event of a natural disaster or other property emergency, we will quickly respond. All our accounting service are completed by a local CPA. You can be sure to receive accurate and timely reports prepared by a professional. As one of the leading Bonita Springs Property Management companies, we promptly respond to all tenant requests and concerns, so you can have confidence knowing that your investment stays in excellent condition. We conduct routine maintenance and spot checks to make sure that tenants are adhering to the minor, routine maintenance and landscaping obligations of their lease. In the event of a natural disaster, we will quickly go to the property. All preventative maintenance tasks on air conditioning, water heaters, and plumbing are completed by expert technicians. Our clients are never hit with unexpected or hidden fees when they use Cape Shore Property Management Inc. services for their investment property. No finder’s fees, no kickbacks, no advertising fees, no maintenance fees, no hidden fees. All rates are always understood and agreed upon by all parties, eliminating misunderstandings. The property management rate is collected out of the tenant’s payment, so that you receive one payment without being inconvenienced by having to pay your invoice to us. We have a complete series of training videos especially prepared for you that will walk you through each step of the property management process. There is no charge for these videos. We want you to be fully aware of the problems and pitfalls of being a property manager. The concern landlords have these days is how much will evictions cost and how long will they take. Our program takes the worry out of that. People know evictions can happen to any landlord no matter how well the tenant is screened. Circumstances change in peoples lives and sometimes they are not able to pay the rent. This is especially true when people lose their jobs, get a divorce or suffer a serious injury. When they aren’t able to pay the rent they can also find it difficult to find the money to move. When this happens the property owner has to go through a costly procedure of evicting the tenant. Cape Shore PMI offers our Eviction Protection Program to our clients for the small fee of $10 per month. This program will cover the cost of all non-jury trial evictions up to a cost of $1200. We pay for everything from beginning to end! See details here. In recent years, property owners in the Bonita Springs, Florida area have experienced a steep rise of evictions, late paying tenants, and property damage. It is very costly and difficult to do every check that needs to be done to verify whether a tenant is responsible and trustworthy to rent your property, and keep it up in the same excellent condition as you would. With the services of an established and reputable property management Bonita Springs, FL company, you will no longer have to worry about finding the right tenant, collecting rent, and scheduling in time for repairs and maintenance. 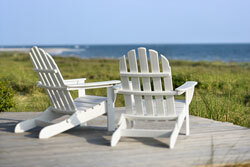 Cape Shore Property Management Inc. has a selection of services for property owners to choose from. We will do a thorough tenant screening to find only the best fit people for your investment. We use a combination of the latest technology, real estate marketing data, and advertising methods for the ultimate success. We take the time to sit down with all tenants, go through all documents, contracts, and agreements, as well as talk to them to make sure that they understand all of the responsibilities they have. We also explain to them the responsibilities and tasks that our professional staff at Cape Shore Property Management Inc. has to keep your property in great condition. We will collect your rent on time, and with our outstanding accounting services you will be sure to receive your payment promptly. If you would like to continue to manage your own rental property, but you are just having a hard time finding the right tenants, and want help, then this is the property management Bonita Springs, FL company that you need to see. As a long standing and reputable community business, we know all the successful ways to bring in great, trustworthy tenants. We will advertise and show your property, eliminating all headaches for you. We perform all the critical background checks, employment checks, credit checks, and other pertinent verifications, so that there is little chance of an eviction or of a tenant leaving in the middle of a lease. Maybe you already have good tenants in your rental home, but you are tired of the calls for repairs in the wee hours of the morning, and all the hassles and burdens property management Bonita Springs, FL carries with it. Many property owners are ill prepared for all of the tasks and responsibilities that are required when they start out renting to tenants. It is easy to get overwhelmed. From the untimely repair calls to paying the utility bills, collecting the rent, paying the mortgage and insurance, conducting preventative maintenance on the plumbing, air conditioning, and water heater, the list can continue to pile up and up. With our outstanding services, we will manage your property for you, get all of the property bills paid on time, and collect the rent. Without all of these worries and bumps in your schedule, you can finally get back to the life you want to live. We are very proud of the highly skilled technicians and trustworthy vendors that our property management Bonita Springs, FL company uses for the maintenance and repairs of the rental properties. Using our services for 24/7 maintenance is more than just a great idea, it is a way to save money. We have great discounts and rates with the highest quality vendors, and since our service is around the clock, those 2am calls for a leaking pipe that you used to get is all of a sudden a thing of the past. The hassle of getting out of bed, and going over to the property, or the high dollar you had to pay for a plumber is over when you select the valuable services of the reputable and outstanding Cape Shore Property Management Inc. Let us keep your rental property in excellent condition! Just imagine no longer having to worry about finding the time out of your already busy schedule to pay the property’s mortgage, utility and real estate bills. Forget about the expensive and aggravating ways you have tried to market your property to attract good tenants, but failed. Stop worrying if your tenants are going to run out on their lease, leaving a disaster in the middle of the night. With our extensive screening process and deep-rooted knowledge of the Bonita Springs Property Management industry, real estate market and community, we will find the right tenants you can trust to rent your property. Our marketing techniques are extremely successful in getting the right people into your home, so that you start seeing a steady income of revenue without any hassles. Please don’t hesitate to contact us today to discuss your Property Management needs. All of us at Cape Shore Property Management Inc., look forward to hearing from you! Center for the Arts of Bonita Springs - an arts organization that hosts local, regional and national traveling art exhibitions; a year long Performance Series featuring jazz, classical and rock music, dance and theater; arts classes in all disciplines and multiple community events. The organization has two campuses, the 10-acre Center for Visual Arts with galleries, studios, classrooms, art library and offices; and 1.8 miles south, the 4-acre Center for Performing Arts that features two auditoriums, black box theater, film center, music rooms and studios for study of performing arts. The organization's Bonita Springs National Art Festivals, ranked high in US are held January, February and March in downtown Historic Bonita Springs.